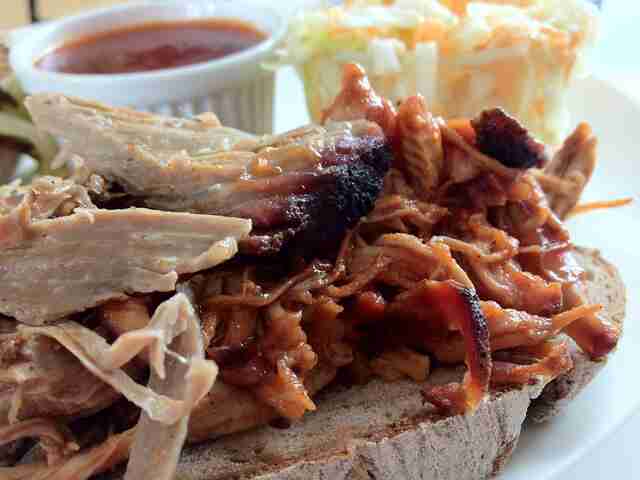 If you have a hankering for Southern BBQ in Berlin, look no further than Pignut. This modest hut inside the Arminius Markthalle boasts hickory-smoked meat prepared according to Alabama family recipes. Everything from the pulled pork to chicken wings comes with homemade sauces, a touch you’d be hard-pressed to find elsewhere in Berlin’s BBQ scene. Summer in Berlin is freakin’ amazing for many reasons (well, mostly because it’s not winter), but now you should add Spice Spice Baby to that list. This Jamaican stand was such a big hit at foodie events last season that we named it 2015’s best new street food. Don’t miss tucking into a signature plate of slow-cooked jerk chicken with coconut rice and groovy tropical fixins. Want Berlin’s most succulent brisket cuts? Of course you do. The Pit uses wagyu beef imported from the US that's slow-smoked for up to 18 hours for soft perfection. 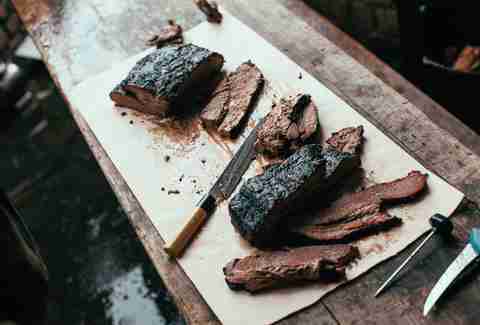 Check out their traditional Texas BBQ at their restaurant in Kreuzberg, which is a short walk from Görlitzer Park. Kimchi Princess is doing the warehouse chic thing. It’s swarming with hipsters, but make no mistake -- the Korean BBQ is on point. On evenings, you’ll find meat sizzling away on tabletop grills, loud electronic beats, and soju cocktails combining to create a buzzy atmosphere. Pro tip: make sure to get a reservation. You can’t go wrong with a dinner date at Chicago Williams BBQ. The restaurant specializes in Memphis BBQ and beer, with craft brews and German ales to choose from. And thanks to glutton-approved sides like mac & cheese and homemade corn soup, you could even bring a vegetarian here to get full -- well, at least the kind that won't mind watching you ravage a Philly cheesesteak. 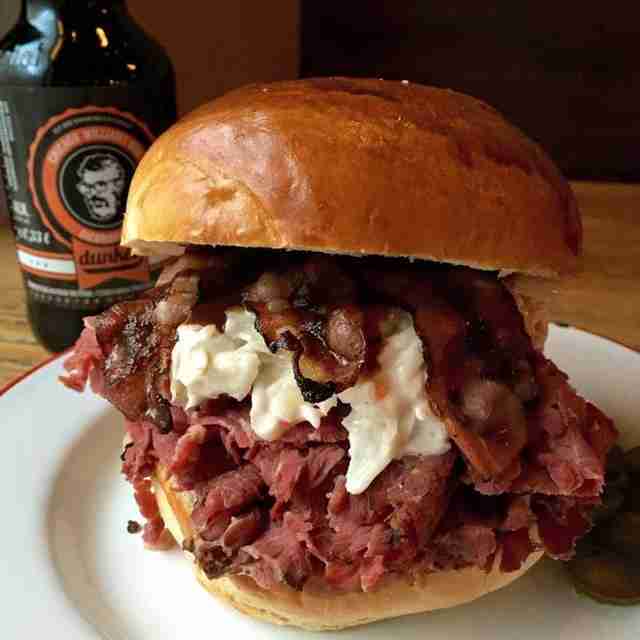 Big Stuff is a treasured institution in Berlin, being the first to do American BBQ with German fleisch. Located in Markthalle Neun, the stand’s sleek wooden stall and fully stocked bar are difficult to miss (the smell is also a dead giveaway). 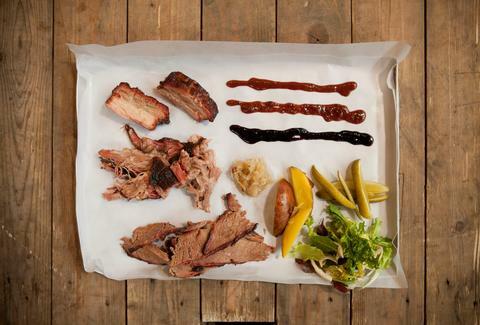 Invest in the Big Stuff Tray, a heaping plate for two of juicy meats alongside smoked potatoes, coleslaw, salad, and sauces. Mmaah’s original location on Columbiadamm is barely a shack, but nevertheless, you’ll find some of Berlin’s best Korean BBQ here. 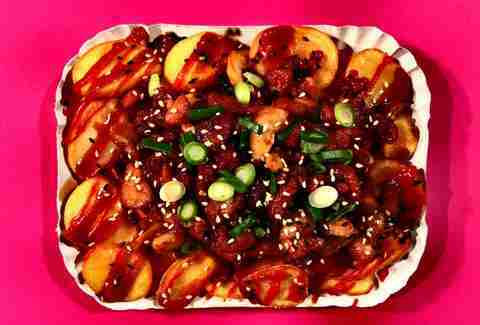 Both the bulgogi and hotgogi (a slightly sweeter, spicier version) are marinated from a family recipe, and served alongside kimchi and sliced potatoes. No wonder Mmaah’s also opened a second Neukölln location, with another at Nollendorfplatz on the way. Having opened last year, Fes is the Turkish restaurant we’ve all been waiting for. It boasts an interior that’s modern and relaxed, and filled with tabletop grills. Take your pick from chicken, lamb, or beef, and a delectable mix of mezze platters. If those don't sound appetizing, they also have raki. Barbara Woolsey is a Berlin-based writer and proudly messy eater. Follow her on Facebook and Twitter.